We express that same hope every time we visit a cemetery and every time we place a monument marker at the grave of a loved one. The simple answer to the question is, “Yes! We do!” Rabbinic literature speaks of olam ha-ba, “the world to come,” as a place where the righteous receive reward and the wicked are appropriately punished. The answer points to a significant and honest difference between Christianity and Judaism as they developed. Our daughter religion was very much centered on the afterlife. Achieving salvation after death was the primary goal of living as classical Christianity understood it. If one believed in the saving power of the life, death on the cross, resurrection, and ascension to heaven of Jesus as the Christ (which is simply a Greek word for “Messiah”), then one’s eternal salvation and reward were assured. For Jews, questions of afterlife have always been much less central. Our primary focus has always been on this life. Our primary goal in living is not to attain salvation in the world beyond, but to make the world in which we live as good a place as we possibly can. Again, I would assert, “Yes, we do!” For Jews, attaining the reward in olam ha-ba (“the world to come”) does not depend on what we believe. It depends on how we act. It does not matter what we believe or do not believe about God. It is a matter of how we live our lives. Still, our hearts yearn for a more specific answer to the question “What happens after I die?” I shall share mine with you. I divide my response into two parts: what I hope and what I know. I hope, and in my heart I believe, that good people receive, in some way, rewards from God in a realm beyond the grave. I hope that they are reunited with loved ones and live on with them in a realm free of the pain and debilitation that might have marked the latter stages of their earthly life. Speaking personally, my father died at age fifty-seven; and my mother, who never remarried, died at age eighty-eight. She was a widow for more years than she was married. My fondest hope since her death is that they are together again, enjoying the things they enjoyed on earth and as much in love with each other as the day they stood beneath the chuppah to unite their lives. I hope, pray, and even trust that they are young, strong, and vigorous—not weak and frail as they each were before they died. I hope and pray also that, in some indescribable way, they are able to feel and share the joy of the happy events that our family has shared since they left us. I cannot of course prove that any of this is true. Yet there is warrant for these hopes in the annals of Jewish tradition. There are enough wonderful stories attesting to an eternal reward for goodness in the world beyond to allow me to cling tenaciously to my hope and belief. Beyond what I merely hope, though, there is an aspect of afterlife of which I am absolutely sure. Our loved ones live on in our memories, and those memories can surely inspire us to lead better lives. At the beginning of Noah Gordon’s marvelous novel The Rabbi, the protagonist, Rabbi Michael Kind, thinks of his beloved grandfather who died when he was a teenager and recalls a Jewish legend that teaches, “When the living think of the dead, the dead who are in paradise know they are loved, and they rejoice.” As I said, I hope but certainly cannot prove that it is true. But I can reformulate that legend into a statement that is unimpeachable: When I think of my dear ones, I know that I have been loved, and I rejoice. I rejoice in and try to live up to the life lessons they taught me. I rejoice in the memories of happy times I shared with them. I rejoice in the knowledge that I am a better person because of them. Not long ago, I decided to dedicate two seats in the rear of our sanctuary at Congregation Beth Israel in memory of my parents. I chose those seats because they mark the exact spot in my boyhood synagogue where my parents’ reserved High Holy Day seats were located in the sanctuary of Temple Sharey Tefilo in East Orange, NJ, where I grew up. Every time I look at them, it is easy to imagine them sitting there. During silent prayers and when the cantor sings, my heart overflows with wonderfully inspiring memories. On Yom Kippur and on the last day of our Sukkot, Passover and Shavuot festivals, we say Yizkor prayers for the same purpose: to draw inspiration from the wonderful memories that fill our hearts and minds when we think of those whom we have loved. We long for them, and we want to be worthy of them. The acute presence of their absence reminds us that life is finite and calls to us to make each day count in living up to their ideals and doing what we can to make the world a better place. I believe we can—if we listen—hear them call to us as God called to Abraham in establishing the sacred covenant of our faith: Be a blessing! Study and follow God’s instruction! Practice and teach those you love to practice righteousness and justice! And then when we turn their words into our actions, we know—we absolutely know—that our loved ones are immortal and that they live on in a very real and special way. 55 years ago this coming Shabbat I was called to the Torah as a Bar Mitzvah. Although compared to most B’nai Mitzvah today, I did little in the service, I feel my knowledge of my portions was pretty deep for a thirteen-year-old. I remember my rabbi, Avraham Soltes, of very blessed memory, standing next to me with his strong left arm around my shoulder! It was so reassuring because I remember as I described in an earlier post (How I Came to Love Torah) being very nervous. But what I remember most appreciatively, and what I incorporated in almost every Bar/Bat mitzvah service I conducted over 40 years (except in a very few cases when parents insisted that I do not) were the questions. In our synagogue back then, students did not give the speeches or Divrei Torah that have become de rigueur today. Rather, after I had finished my readings Rabbi Soltes asked me questions. He asked about my portion, he asked me to recite the ten commandments, and he asked me what my favorite Psalm was and to quote a bit of it. I quoted Psalm 61, still a favorite, “Hear my cry, O God. Attend unto my prayer. From the ends of the earth I cry out to you when my heart is overwhelmed. Lead me to the Rock that is higher than I.” Without doubt, it was the questions and my ability to answer them that made my Bar Mitzvah day the most important day in my life. Today, few rabbis ask questions. Only one of my colleagues with whom I worked together in years past, Rabbi Beth Davidson, continues the practice in her own congregation. Today as well, most Bat Mitzvah kids will not even know what a Psalm is. 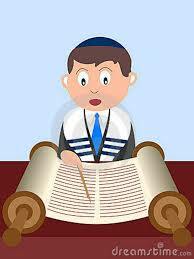 Rather they have spent hours memorizing the chant of long sections of the Torah. Few, though, learn Hebrew vocabulary words that the rabbi can ask them on the bema and invite the student to explain how they fit into his or her Torah or Haftarah portion. I think our students are the losers. The skillful rabbi knows that with a gifted student the material he/she expects the student to know can range far and wide. With a slower student, the rabbi and the student deal with a much smaller vocabulary list and other potential questions. In the service then, the difference between a gifted and slower student is not the AMOUNT of Hebrew that they chant, rendering the difference between them crystal clear to everyone who attends. The difference when questions are asked is more subtle, how much material have the student and rabbi covered when they studied together. Yes, it can happen that a student will not know an answer, but if the rabbi has done her/his homework it should be very seldom. In life, there is always a chance that something goes wrong. 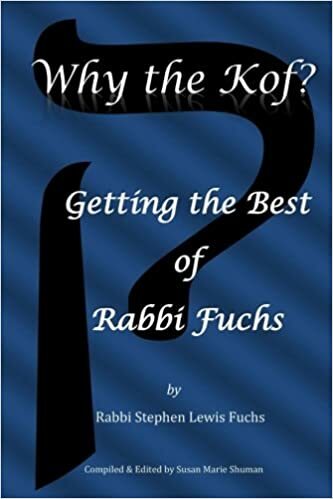 A skillful rabbi who has studied with his or her students will know what they know greatly minimizing the chance that the student will (in common parlance) “mess up.” A skillful rabbi also knows how to cover for the student in the rare cases that it happens. Once — only once — in the 100’s of services I conducted a student missed a question, and I did not cover properly. I regret my lapse –30 years ago– and I will continue to regret it. But I don’t see that one slip as reason to deny a student the opportunity to remember what he or she learns — not how well or how much he or she can chant — as the focal point of the experience. At my retirement party as Sr. Rabbi of Congregation Beth Israel in West Hartford, I was spoofed for the number of times I made reference over the years to the importance of my Bar Mitzvah! In truth I consider that day, March 21, 1959, the most important day of my life.! I don’t say the best day of my life. Those were the day I got married, the days my children and grandchildren were born, and the day I was ordained as a rabbi. But as for importance my Bar Mitzvah Day tops the list. Why? I never thought I could do it. That’s why. I mean, me read from the Torah with NO VOWELS (The Hebrew texts of Torah scrolls contain neither vowels nor punctuation)? There is NO way! I was so scared of my impending Bar Mitzvah that I thought I would die before I could get up there and read with no vowels. But then I went through my first ever exercise – as I realized years later – in deductive reasoning. The process went like this. Based on 1-4 I might survive. And I did! And every time I have faced a challenge since then that I didn’t think I could conquer, I think back to my Bar Mitzvah and I say, “I didn’t think I could do that either. Maybe if I just keep trying the best I can, I can do it. It worked when I entered rabbinical school knowing no more than my Bar Mitzvah prep Hebrew and felt like a complete dummy! Though I can’t say it has worked every single time, that mantra has helped me more often than not. These discoveries occasioned a major WOW for me! If such treasures were gleanable for my dry as dust portion, what insights relevant to life today are waiting for me to discover in the narrative portions of the Torah. Fifty-four years later, my book, WHAT’S IN IT FOR ME: Finding Ourselves Biblical Narratives is the result. I hope you find it meaningful reading!